The title for this post is the same as a that of a classic book by Mary Austin about her life in the Owens Valley. 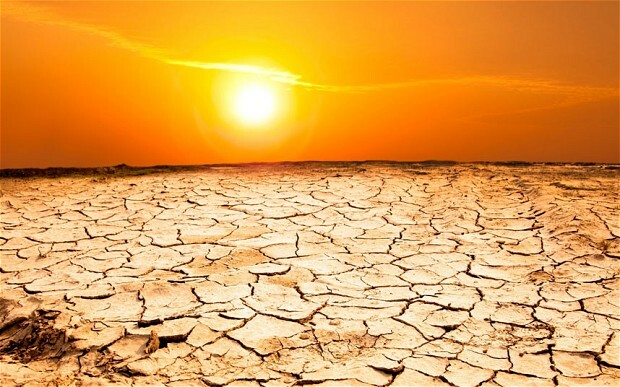 While there is little doubt that deserts can be starkly beautiful—as for instance Death Valley or the National Parks of Southern Utah—it can be frustrating to have forecast rain turn into little more than a dirty drizzle. I call it a dirty drizzle because there’s only enough rain to smear my windshield when I run my wipers. As my windshield wiper reservoir is leaking and its replacement costs a small fortune for my twenty-year-old Nissan Pathfinder, I spend a good part of .L.A.’s so-called rainy season driving around looking through a coating of dirt. I have no faith in weather forecasters. Why? Because they are only intent on selling advertising. Therefore, they tend to wildly exaggerate any rain forecast. Even if there’s so much as a 10% chance of showers, newsmen will spend hours telling us to look for the forecast in the next fifteen minutes, er…, half hour, er… hour. What usually happens, the mountains to the north of us get the rain, or the deserts beyond the mountains. What we get, at most, is a pittance. People in the Northeast must be looking at us with ill-suppressed envy, as they struggle with snow and cold and “polar vortexes,” whatever those are. In the meantime, we continue to dry out. Our state’s agriculture, once the envy of the nation, is looking at a potential dust bowl. 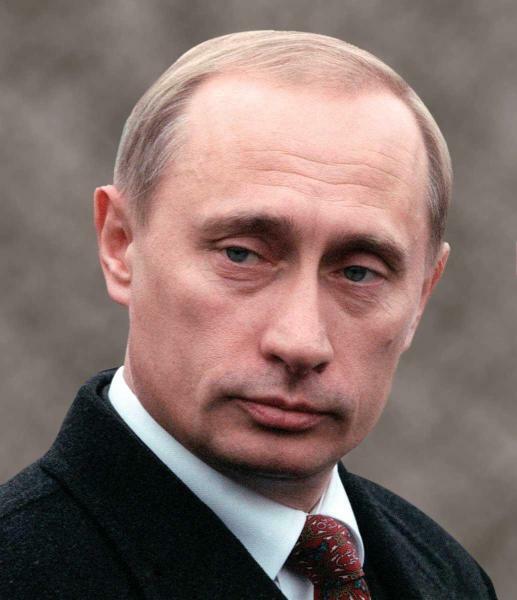 I know that some people think of Vladimir Vladimirovich Putin as the reincarnation of Stalin. Others on the right idolize him because, well, he persecutes gays. The truth is actually to be found elsewhere. He definitely is a bad dude. Instead of killing people by the millions in Siberian gulags, he uses very targeted assassinations to eliminate some of his more outspoken enemies. In November 1998, soon after he took over the KGB, he had opposition Duma Deputy Galina Starovoitova murdered for her pro-democracy advocacy. As soon as Yeltsin named him Prime Minister a year later, he initiated a bombing campaign in Chechnya which led to hundreds of civilian deaths. One outspoken critic of the Chechen war was Anna Politkovskaya, whose dispatches on the conflict I have read (and recommend: they are published under the name of A Small Corner of Hell). She paid dearly for her upstanding journalism: She was shot by KGB operatives at the door of her apartment in October 2006. For a considerably longer list of his targets, click here. What makes Putin radically different from his Communist forebears is that he is an oligarch in personal control of billions of rubles worth of assets, alone or with a small number of co-conspirators with whom he feels comfortable. There is an excellent review by Anne Applebaum in the December 18, 2014 issue of The New York Review of Books which is a review of Karen Dawisha’s Putin’s Kleptocracy: Who Owns Russia? No fool, Putin knew that Communism was on the skids while he was still a KGB officer in Dresden, East Germany, and he prepared for the demise of the Soviet empire by beginning to gather people whom he could trust. In St. Petersburg in 1991, he entered in numerous “legally flawed contracts” in which he exported millions of dollars worth of commodities in return for food that never seems to have been delivered. He was in on the rise to power of Bank Rossiya, which he used for his financial and criminal deals. Putin-controlled entities include Ozero Dacha Consumer Cooperative; St. Petersburg Real Estate Holding Company (SPAG), which was involved in Russian and Colombian drug money laundering; the construction company Twentieth Trust; and probably biggest of all—Gazprom. It is as if an American president controlled Morgan Stanley, Exxon, Cargill, and numerous other massive corporations which combined to do whatever legal or illegal he or she wished to accomplish. And yet Putin’s popularity is still high among Russian voters at this time. He pays careful attention to cultural and foreign policy choices that are in tune with the Russian man in the street. This includes his support of the Russian Orthodox Church and its hierarchy, and his ham-fisted attempts to support the Russian population of industrialized East Ukraine. It is difficult to say which Jacques Tati film I love the most. In the end, it is a tie between Monsieur Hulot’s Holiday (1953) and Mon Oncle (1958), with Jour de Fete (1949) and Playtime (1967) close on their heels. In the end, I chose Mon Oncle because I thought its humor has almost attained the status of myth. In the inter-generational rapport between M. Hulot and the young son of his social-climbing sister, we see how new Hulots are created. By the end of the film, even the insufferable CEO brother-in-law (shown in background above) has become Hulot-ized as he complicitly clasps the hand of his son. We don’t usually think of the French as being funny. Yet there was a tradition of film comedy in France going back to Max Linder in the silent era, followed by the early talkie musical comedies of René Clair. 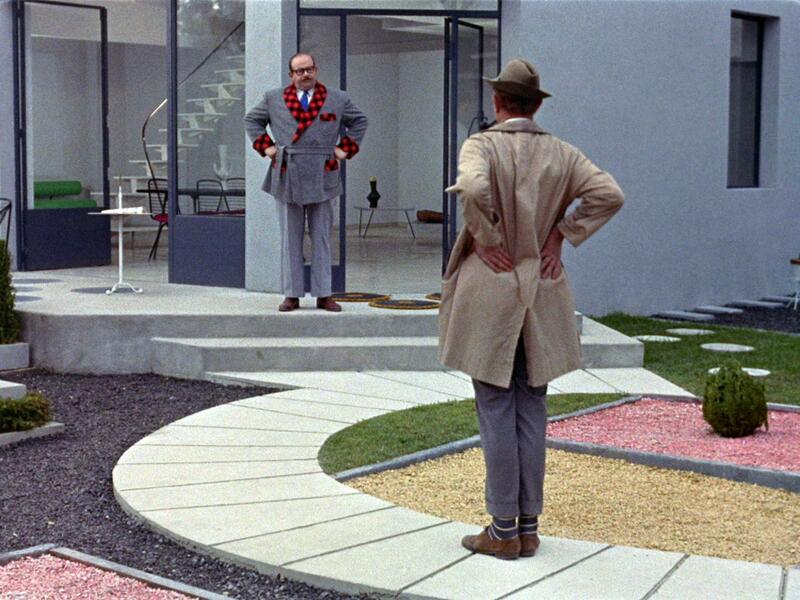 It is in Jacques Tati (real name: Tatischeff), however, that it reaches its pinnacle. During his film career, which extended from 1934 to 1974, he directed only nine films and acted in fifteen, including shorts. Some of these are minor, but the four films named above are gems that will stand the test of time. To illustrate how natural Tati’s comedy is, I will mention one scene. Hulot’s nephew plays with a bunch of lower-class kids who like practical jokes. They hide on a hillside overlooking a street corner where there is a lamppost. When they see a likely victim coming, one of the boys runs down with a broom and starts vigorously sweeping the sidewalk in front of the oncoming pedestrian, in effect directing him to walk toward the post. As he nears the post, another boy gives a loud whistle, which causes the pedestrian to look around and walk face first into the lamppost. They run several variations on this until they are caught. Hulot’s Paris is a layered city in which eccentric ne’er-do-wells laze around picturesque streets and social climbers dine at horribly pretentious restaurants like Kington’s (which looks ahead to the destruction of a similar restaurant/nightclub in Playtime). For more information about Tati, click on Tativille, the “official” site of this great comedian. If you have never seen any of his films and need some cheering up, I urge you to get one of the recently released DVDs of Monsieur Hulot’s Holiday or Mon Oncle and have yourself a ball. What Country Produces the Best Literature? My own ABCs consist of places I have loved (Iceland, Patagonia, Quebec), things I feared (Earthquakes), writers I have admired (Chesterton, Balzac, Proust, and Borges); locales associated with my past life (Cleveland and Dartmouth College), people who have influenced me (John F. Kennedy), foods I love (Olives), and things I love to do (Automobiles and Books). This blog entry is my own humble attempt to imitate a writer whom I have read on and off for thirty years without having sated my curiosity. Consequently, over the weeks to come, you will see a number of postings under the heading “Tarnmoor’s ABCs” that will attempt to do for my life what Milosz accomplished for his. To see my other entries under this category, hit the tag below marked “ABCs”. I don’t guarantee that I will use up all 26 letters of the alphabet, but I’ll do my best. Today the letter is “R” for Russian Novels. Despite the travails of the Communist Century, Russian novels continued to be the best in the world, what with authors like Maxim Gorky, Anatoly Rybakov, Victor Serge (even though he wrote in French), Vladimir Nabokov, Vassily Grossman, Victor Zamyatin, Boris and Arkady Strugatsky, Aleksander Solzhenitsyn, Andrey Gelasimov, Mikhail Bulgakov, Boris Pasternak, Andrey Platonov, Ivan Bunin, Varlam Shalamov, and Sergei Lukyanenko. And these are just the ones I’ve read! KI suspect I could find another dozen if only I lived long enough. Also, Russian novels are likely to be l-o-n-g. That’s all right with me, because I usually get so wrapped up in the stories that I almost don’t notice it. 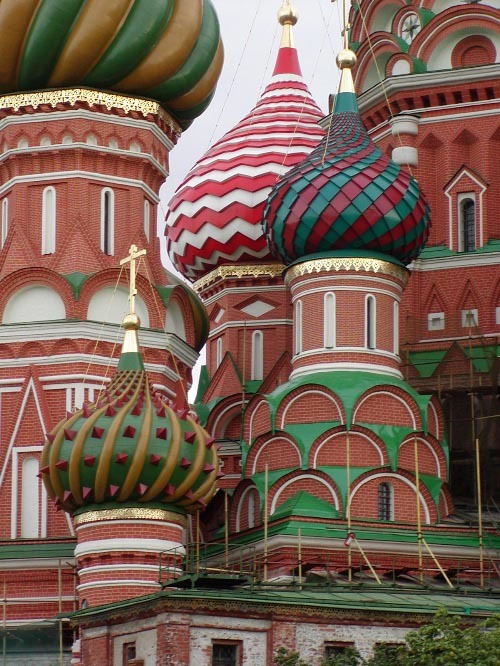 So, enjoy yourselves, and give my regards to Nevsky Prospekt! I can identify the exact moment I fell in love with G.K. Chesterton. Many years ago, as I read The Man Who Was Thursday for the first time, I came across this line by Gilbert Syme, the narrator: “Just at present you only see the tree by the light of the lamp. I wonder when you would ever see the lamp by the light of the tree.” It hit me like a bolt of lightning that here was a man that knew that all was one, and that everything affected everything else. Indeed, why not by the light of the tree? Chesterton was not some sort of Jolly Green Giant: What peace he finally attained was hard won. As the First World War and the books he wrote at that time showed, he was a very indifferent political propagandist (see The Appetite of Tyranny and The Utopia of Usurers). When Chesterton finally converted to Catholicism in 1922, he became another type of propagandist—one for his faith—but considerably more effectively than in his political work. Perhaps Chesterton’s most interesting work came before the Great War. 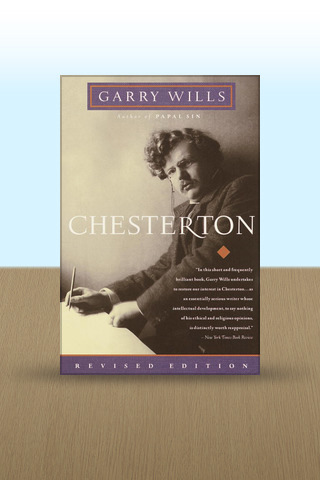 The best thing about Chesterton is Wills’s detailed analysis of the early work, including the poems “The Wild Knight” and “The Ballad of the White Horse” and most particularly, my favorite GKC book, The Man Who Was Thursday. In this subconscious world, in short, existence betrays itself; it shows that it is full of spiritual forces which disguise themselves as lions and lamp-posts, which can as easily disguise themselves as butterflies and Babylonian temples…. Life dwells alone in our very heart of hearts, life is one and virgin and unconjured, and sometimes in the watches of the night speaks in its own terrible harmony. I have only one minor quibble, and that is that Wills downplayed much of Chesterton’s fiction, which was almost always good, from his earliest Father Brown stories (which he covers) to such titles as The Club of Queer Trades, The Paradoxes of Mr. Pond, The Return of Don Quixote, and The Poet and the Lunatics. At the same time, what Wills does accomplish is to excellent that I cannot but see myself re-reading this excellent book, and maybe even searching for a hardbound copy for my burgeoning GKC collection. I wish I had a photograph of my Cousin Emil. Perhaps I do—and when I find it I will post it—but I could not lay my hands on it on short notice. Emil Zoltan Paris Jr., to give his full name, was my father’s twin brother Emil Zoltan Paris Sr.’s only son. Between those formative years in my life during the early 1950s, he lived only a block away on East 177th Street. He was a couple years older than I was, and he was anti-intellectual to a high degree, but he was fiercely loyal and goodhearted. As a little kid, I was frequently picked on by the neighborhood bullies—unless Emil was around. He was tall and big, the type that became a defensive tackle in high school (and in fact, that’s just what he was at West Geauga High). Whenever he caught someone who was picking on me, Emil just sat on him and whacked away until blood squirted or sounds of apology were reluctantly tendered. Emil married a woman named Lois from Detroit, but it didn’t turn out well. She left him for another woman, who happened to be African-American. I lost touch with Emil went I went to college and, from there, moved out to California. Then, I heard from my mother that he was living in Lake Havasu City, AZ, just across the Colorado River. Twice, on my road trips through Arizona, I detoured to Lake Havasu and visited him, once with my mother along. He was running a limo service there. We kept in touch now and then. After a few years there, he moved back to Cleveland to be with his aging mother. It was difficult to tell who was more ill, because Emil was showing symptoms of advanced Type 2 Diabetes. Toward the end, he lost his vision. Then he passed away about sixteen years ago, leaving his two grown-up sons, Greg and Doug, with whom I am not in touch. I miss not having Emil around to talk about old times. 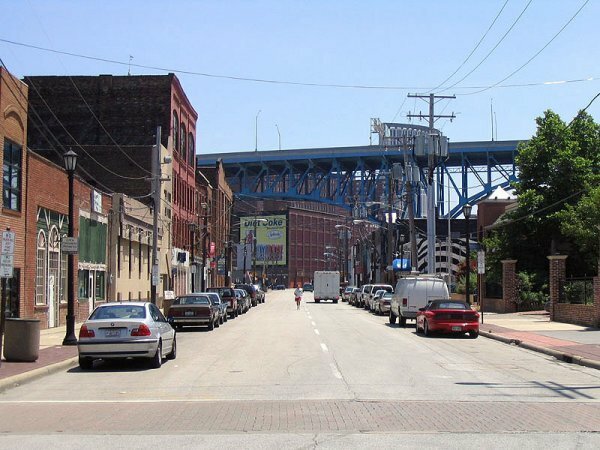 Those included the years he worked for his father’s company, the Metal-Craft Spinning Company in the Flats of Cleveland (see photo above). The building in which Uncle Emil’s factory was located has now been subdivided into luxury lofts. 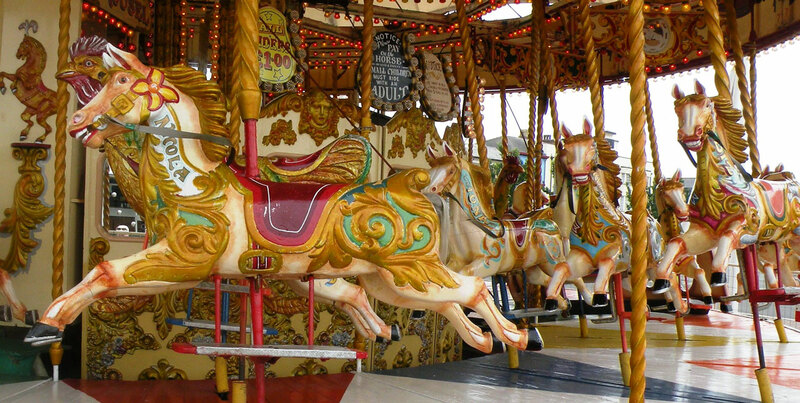 I used to drop in with my father ostensibly to talk to my uncle, my cousin, and Mr. Prosser, my uncle’s partner. Actually, I was probably just as interested then in the nudie pinup calendars scattered throughout. For lunch, we would walk over to the old Flatiron Café and have some delicious sandwiches. It is still there, but it’s become yuppified and now calls itself an Irish Pub. Those gruff Slavic faces at the tables of the old greasy spoon are all gone.